Chordoma is a rare malignant bone tumor that arises from notochord remnants. 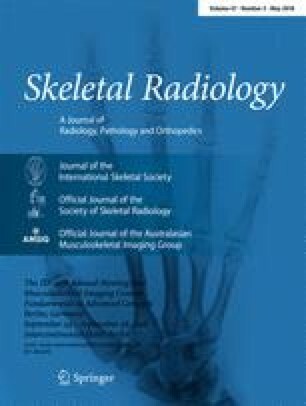 This is the first trial to investigate the utility of 11C-methionine (MET) positron emission tomography (PET) in the imaging of chordoma before and after carbon-ion radiotherapy (CIRT). Fifteen patients with chordoma were investigated with MET-PET before and after CIRT and the findings analyzed visually and quantitatively. Tumor MET uptake was evaluated by tumor-to-nontumor ratio (T/N ratio). In 12 (80%) patients chordoma was clearly visible in the baseline MET-PET study with a mean T/N ratio of 3.3±1.7. The MET uptake decreased significantly to 2.3±1.4 after CIRT (P<0.05). A significant reduction in tumor MET uptake of 24% was observed after CIRT. Fourteen (93%) patients showed no local recurrence after CIRT with a median follow-up time of 20 months. This study has demonstrated that MET-PET is feasible for imaging of chordoma. MET-PET could provide important tumor metabolic information for the therapeutic monitoring of chordoma after CIRT.